What is MasterKey Bilingual Academy? 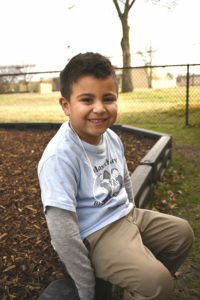 MasterKey Bilingual Academy is a preschool for low income children. It offers a quality learning experience in English and Spanish by providing degreed teachers and nationally acclaimed curriculum. The learning environment is specifically designed to be a peaceful, safe space that fosters discovery-type learning and readies a child for a successful educational journey. The full tuition for the school is $125/week. For those that qualify for low income benefits, parents are required to apply with Workforce Solutions Texoma for government subsidies. Once approved, parents are placed on a waiting list for approximately nine to twelve months. During this time, the student may attend the academy at a rate of $25/week until they are fully subsidized. The preschool follows the SISD calendar and provides a six week program in the summer that is specifically designed to prevent summer learning loss. The forty two week school year offers a full day program, 7:30 am to 2:30 pm, Monday-Friday. Those days that are designated “early release” on the SISD calendar are also followed by MasterKey Bilingual Academy, including school holidays. MasterKey Bilingual Academy (MBA) is a licensed full-day PreK for 3- and 4-year-olds with classes in both English and Spanish. As a not-for-profit academy, MBA is designed to help lower-income families give their children a strong start on their educational journey. MBA is a program of MasterKey Ministries of Grayson County. ©2019 MasterKey Ministries of Grayson County, Inc.